The "greatest generation," a term popularized by the book of the same name by Tom Brokaw, is often used to refer to those who came of age during World War II. 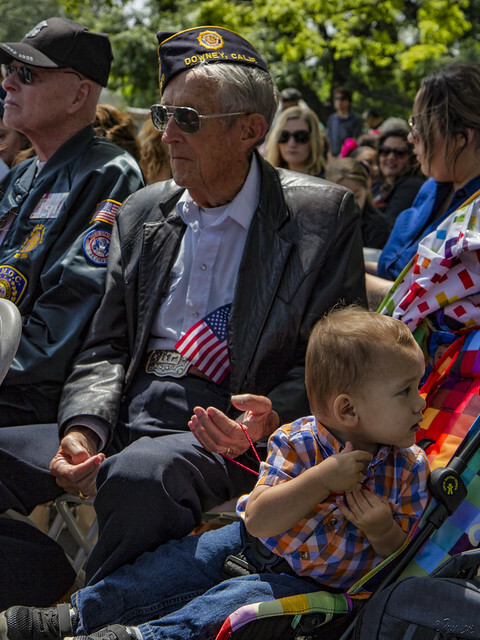 But those men and women are certainly not the only generation in attendance at this year's Memorial Day Ceremony at the Downey Cemetery. One part of the ceremony that I always appreciate is the roll call of veterans. The roll call starts with those who served in World War II (there are fewer every year), continues through the Korean and Viet Nam wars, and ends with the various wars in the Middle East through the continuing conflict in Afghanistan. And for each one, men and women from each new generation stand to be recognized and honored for their service, past and present.